Early indications suggest faulty wiring was the cause of the blaze. A NUMBER OF prisoners have to be rehoused following a fire at the Midlands Prison. The incident happened last night when a section of the E Division caught fire. Early indications suggest faulty wiring was the cause of the blaze. 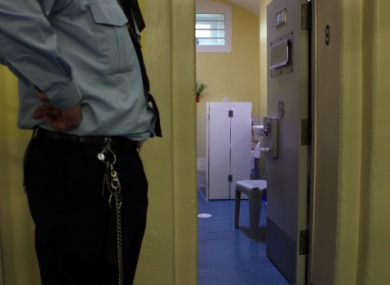 A spokesperson for the Irish Prison Service confirmed it is investigating the incident but stressed that all safety procedures worked correctly. The spokesman said: “The Irish Prison Service can confirm that there was a fire in the E Division of Midlands prison (attic area) last night. “There has been damage to some non-residential (plant room) area of the division. The fire brigade were called and the fire was extinguished. “There is currently no power to most of the affected area and the Irish Prison Service are taking all reasonable steps to rehouse prisoners that have to be moved as a result of the electrical power issue. Justice Minister Charlie Flanagan said he was concerned by the incident. In a statement, he said he wished to commend the fire brigade and all those who responded to the fire in order to extinguish it. Email “Investigation launched following fire at Midlands Prison”. Feedback on “Investigation launched following fire at Midlands Prison”.